can be as simple as being surrounded by white snow and doing something you like. I never thought I would be doing cross country skiing before we are leaving to the desert. It is end of October! 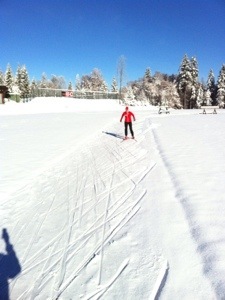 The first training session on the skis this winter is done. 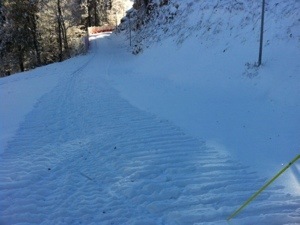 The track was not prepared, but we did it ourselves by skiing on a loop that is about 1km. After some loops it was pretty good and it was so much fun. Tomorrow we will drive up again. The road is free from snow, so we managed to get up and down with summertires. The sun is still pretty powerful, so the snow is melting, but we will ski as long as there is even a little bit of snow at the Nordic Center stadium.